A film, TV, and stage actor known for her stunningly diverse range of portrayals, Riseborough appears in four feature films that premiered at the 2018 Sundance Film Festival, and plays thetitle character in two of them: NANCY opposite Steve Buscemi, Ann Dowd, and John Leguizamo; and MANDY opposite Nicolas Cage. Riseborough also stars in Armando Iannuci’s THE DEATH OF STALIN, for which she was nominated for Best Supporting Actress at the British Independent Film Awards; and BURDEN, alongside Garrett Hedlund and Forrest Whitaker. She is currently filming Sony’s Sam Raimi-produced reboot of the horror classic THE GRUDGE opposite Demián Bichir and John Cho. Riseborough’s other recent films include Jonathan Dayton and Valerie Faris’ Fox Searchlight movie BATTLE OF THE SEXES with Emma Stone and Steve Carell; Tom Ford’s Oscar-nominated NOCTURNAL ANIMALS for Focus Features; and Alejandro González Iñárritu’s BIRDMAN, which won four Academy Awards including Best Picture, and for which she shared a Screen Actors Guild Award and over a dozen other honors with ensemble cast Michael Keaton, Zach Galifinakis, Naomi Watts, Edward Norton, Amy Ryan, and Emma Stone. On TV, she stars in John Hillcoat’s newest season episode of BLACK MIRROR; and the upcoming limited series WACO from Paramount. She recently starred in the Channel 4 mini-series NATIONAL TREASURE with Robbie Coltrane and Julie Waters; and can currently be seen on the Netflix drama BLOODLINE opposite Sissy Spacek and John Leguizamo; and in Julian Jarrold’s BBC adaptation of Agatha Christie’s THE WITNESS FOR THE PROSECUTION. Riseborough’s long list of credits also includes Mark Romanek’s NEVER LET ME GO; Joseph Kosinski’s OBLIVION opposite Tom Cruise; Madonna’s W.E. as Wallis Simpson; the Duffer Brothers’ HIDDEN; Amit Gupta’s RESISTANCE; Corinna McFarlane’s THE SILENT STORM; Henry Alex Rubin’s DISCONNECT; Rowan Joffe’s BRIGHTON ROCK; and Nigel Cole’s MADE IN DAGENHAM. 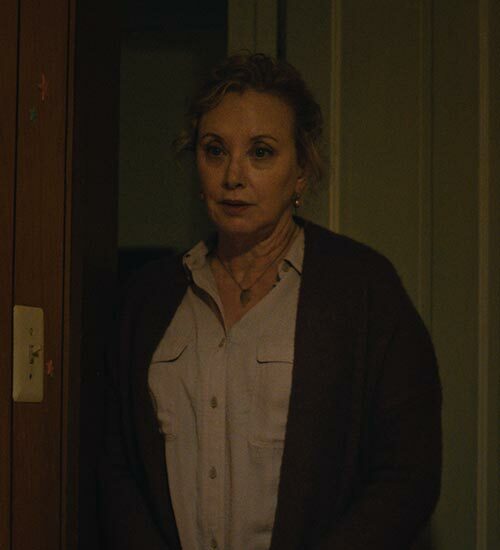 Riseborough has twice been nominated for Best Actress at the British Independent Film Awards, winning for James Marsh’s SHADOW DANCER co-starring Clive Owen; and garnering the London Critics’ Circle Film Award for Best Actress and the Evening Standard British Film Award. She was also nominated for a BAFTA for her portrayal of a young Margaret Thatcher in BBC’s THE LONG WALK TO FINCHLEY. Riseborough is a graduate of the prestigious Royal Academy of Dramatic Art. J. Smith-Cameron is a Tony Award-nominated actress who has appeared across film, television and stage. She starred opposite Anna Paquin and Jean Reno in MARGARET, directed by her husband and Academy Award winner Kenneth Lonergan. She also appeared in Lonergan's debut film YOU CAN COUNT ON ME, and opposite Matthew Broderick in Lonergan's play THE STARRY MESSENGER. She can also be seen in Antonio Campos’s acclaimed film CHRISTINE opposite Rebecca Hall. In television, she starred as Janet Talbot on the critically acclaimed series RECTIFY on Sundance TV which won the esteemed Peabody Award. This season, Smith-Cameron appears in SEARCH PARTY with Alia Shawkat and is currently filming the upcoming HBO show SUCCESSION, opposite Brian Cox and Kieran Culkin. She has won Obie Awards for her theater work in AS BEES IN HONEY DROWN and SWEET AND SAD, and recently won the Joe Calloway Award for JUNO AND THE PAYCOCK. This spring she will appear opposite Lois Smith in PEACE FOR MARY FRANCIS for The New Group Off-Broadway. Steve Buscemi has built a career out of portraying some of the most unique and unforgettable characters in recent cinema. Buscemi won an Independent Spirit Award, The New York Film Critics Award and was nominated for a Golden Globe for his role in GHOST WORLD directed by Terry Zwigoff. He was also nominated for a Best Supporting Actor Emmy for his role as Tony Blundetto in season five of THE SOPRANOS, and starred in the HBO drama BOARDWALK EMPIRE, which garnered him a Golden Globe Award, two Screen Actors Guild Awards, and two Emmy nominations. His many other screen credits include the Coen Brothers’ Academy Award-winning FARGO and THE BIG LEBOWSKI; along with MILLER’S CROSSING and BARTON FINK; Quentin Tarantino's RESERVOIR DOGS; Martin Scorsese's NEW YORK STORIES; Jim Jarmusch's COFFEE AND CIGARETTES, and MYSTERY TRAIN; Robert Altman's KANSAS CITY; Miguel Arteta’s YOUTH IN REVOLT; and Tom DiCillo's DOUBLE WHAMMY and his Sundance award-winning LIVING IN OBLIVION. Buscemi recently co-starred in the critically acclaimed series HORACE AND PETE and will soon be seen in Armando Iannucci’s THE DEATH OF STALIN and Andrew Haigh’s LEAN ON PETE. 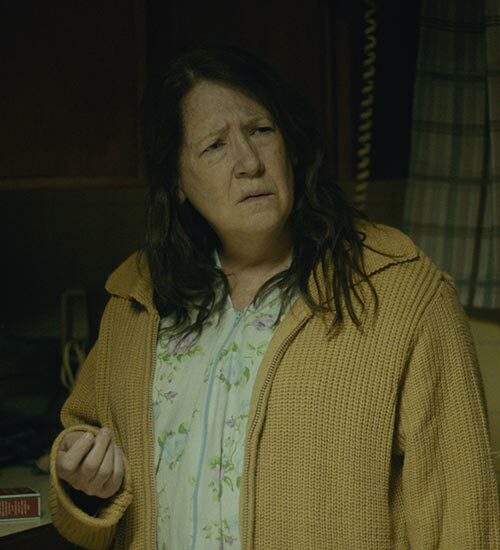 Ann Dowd can currently be seen on the hit series THE HANDMAID’S TALE, for which she won a 2017 Emmy Award for Outstanding Supporting Actress in a Drama Series; and HBO’s THE LEFTOVERS from creators Damon Lindelof and Tom Perrotta, for which she was nominated for an additional Emmy for Outstanding Guess Actress in a Drama Series. Her extensive list of film credits includes Matt Ross’ CAPTAIN FANTASTIC opposite Viggo Mortensen, Frank Langella and Steve Zahn; David Gordon Green’s OUR BRAND IS OUR CRISIS opposite Sandra Bullock and Billy Bob Thornton; and many others including GARDEN STATE; COLLATERAL BEAUTY; and COMPLIANCE, for which she won Best Supporting Actress from the National Board of Review, and earned nominations for an Independent Spirit Award and a Critics' Choice Award. Her upcoming film credits include A KID LIKE JAKE, TYREL, AMERICAN ANIMALS, and NANCY, all premiering at Sundance 2018. Emmy Award winner John Leguizamo has appeared in over 100 films and countless television shows while establishing a career that defies categorization. John garnered a Golden Globe nomination for Best Supporting Actor for his performance as a sensitive drag queen in TO WONG FOO THANKS FOR EVERYTHING, JULIE NEWMAR, was the recipient of the ALMA Special Achievement Award for Entertainer of the Year, and picked up ALMA Award nominations for his roles in MOULIN ROUGE (Best Supporting Actor) and KING OF THE JUNGLE (Best Lead Actor). His extensive list of film credits include JOHN WICK, AMERICAN ULTRA, STEALING CARS, REPO MEN, RIGHTEOUS KILL, RIDE ALONG, MIRACLE AT ST. ANNA, CHEF, NIGHT OWL, POISON, and ROMEO + JULIET. Leguizamo was recently seen in the third and final season of BLOODLINE where he reprised his role as Ozzy Delvecchio. Upcoming projects include THE ADVENTURES OF DRUNKY, set for release this year; ABC drama SALAMANDER; and WACO, a six-part event series set to release in 2018. John can currently be seen on Broadway at Studio 54 with his critically acclaimed one-man show LATIN HISTORY FOR MORONS.